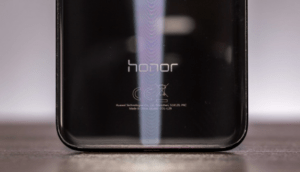 Its Everything About Huawei Honor Note 10 Specifications…! Huawei is going to launch a new smartphone named as Huawei Honor Note 10 making it the ultimate flagship for video and gaming. As we all know that smartphones are become the essential thing nowadays for everyone as for education, entertainment, research, banking, business etc. As the time goes and more innovation has been done the innovative ideas are implemented by using the new technology. Huawei is also a smartphone manufacturing company which presents many new devices for the people. Like previous smartphones this Huawei Honor Note 10 is also has some most splendid features. It has 6.95” display, 2,220 x 1080 pixels resolution, 13 MP sensor selfie camera etc. It is all about Huawei Honor Note 10 specifications in details. The Huawei Honor Note 10 is going to launch expectedly on next Tuesday. It has a tall Amoled Display and Kirin 970 Chipest. There is a vast range of storage as (64 GB, 128 GB, or 256 GB and memory as (6 GB or 8 GB) in Honor Note 10. If this RAM and storage is not enough for you then you can also expand it through a micro SD slot for up to 256 GB more. The camera setup is also good in this smartphone as 16 MP + 24 MP and 13 MP sensor Selfie Camera. The Huawei Honor Note 10 has many other AI features as a machine-learning Portrait mode that makes selfies look more nice and stylish. Here are the key specifications about Huawei Honor Note 10 for its fans who are waiting for this smartphone. Huawei Honor Note 10 has a latest EMUI based on Android Oreo. For enhancing the graphics performance the handset will be arriving with Huawei’s GPU Turbo technology. To provide the perfect graphics and smoother performance of battery Honor Note 10 should dissipate heat in a more effective way.